Newcomer Family Obituaries - Bell Anthony Lobato 1941 - 2018 - Newcomer Cremations, Funerals & Receptions. Bell Anthony Lobato, 77, passed away peacefully in his sleep at home on November 25, 2018 in Denver, Colorado. He was born August 4, 1941 to Jose and Lyda in Lewis, Colorado. He married Betty June Saiz on September 26, 1959. She preceded him in death on April 27, 2007. He was also preceded in death by his son James Lobato on October 11, 2009. Survivors include Debbie (Jim), Doreen (Russell) and Sissy (Shelly). He was also survived by five grandchildren, 8 great-grandchildren and one great-great-grandchild (two more on the way) as well as numerous family members and friends. To share a memory of Bell or leave a special condolence message for his family, please click the Share Memories button above. Add your memories to the guest book of Bell Lobato. Ophie and I are sorry to hear about your father, Bell. May he Rest in Peace. May you find Peace in knowing he is now with your mother, Betty. I am so very sorry to hear about Bell's death. May he rest in peace. Love to all of the family. 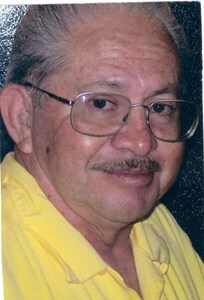 Love and miss you Grampz.